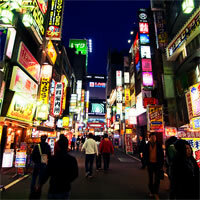 Tokyo is Japan`s energetic capital, and one of the largest, busiest cities in the world! This bustling city combines historical places, such as the Imperial Palace, Meiji Shrine, and Sensoji temple, to the ultramodern Skyscrapers and the Tokyo Tower along with the world`s tallest tower, the Skytree. The city consists of 23 different wards, each with its own individuality and unique attractions, Ginza is the most expensive and fashionable shopping district, Shibuya consists of the busiest crosswalk in the world and the busiest train station, while Shinjuku is the largest district in the heart of the city with hundreds of skyscrapers and Shinjuku Gyoen Park featuring hundreds of cherry trees, with their magnificent blooms during March and April. Check out the world`s largest fish market and dine at one of the 160,000 eateries or capture a glimpse of the sacred Mount Fiji, the opportunities for adventure in Tokyo are endless. Sony building, Imperial Palace, temples of Asakusa, Shinjuku Gyoen Park, Meiji Shrine, Korakuen Garden, Ueno Park, Tokyo Disneyland, Tokyo Sea Life Park, Tokyo Tower, Rainbow Bridge and so much more! Osaka is the third largest city in Japan, situated on the west of Honshu, a port city that flows into Osaka Bay offering visitors a wide variety of sights and attractions definitely worth visiting. A vibrant, extensive nightlife can be found on the streets of Osaka, filled with street food, market shopping, bright lights and the famed Gilco Man neon billboard sign and the giant crab. Traditionally known as the `nation`s kitchen` and the food capital of Japan with some of the best food found in Dotonburi and Minami. 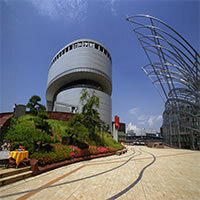 Many museums fill the city and modern architecture along with beautiful outdoor spaces and the spectacular Osaka Castle. Come visit Osaka and discover the true beauty of this city. Osaka Castle, Osaka Park, Umeda Sky Building, Osaka Science Museum, National Museum of Art, Shiteno-jj Temple, Nanba Grand Kagetsu, Sumiyoshi Taisha Shrine and so much more! Kyoto is nestled among the mountains in Western Honshu. 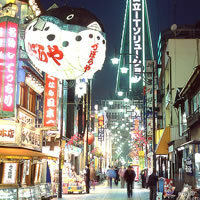 The city is considered to be Japan`s most beautiful, a living museum of Japan`s great artistic heritage. Discover its hidden beauty in its 2000 Buddhist temples and Shinto shrines, as well as palaces, gardens, and architecture. Among the most famous temples are Kiyomizu-Dera, a magnificent wooden temple; Kinkaku-Ji, the Temple of the Golden Pavilion; Ginkaku-Ji, the Temple of the Silver Pavilion; and Ryoan-Ji, famous for its rock garden. The `Historic Monuments of Ancient Kyoto` are listed by the UNESCO as a World Heritage Site. Arashiyama and Sagano district, Kamo Shrines, Kyo-o-Gokokuji (Tô-ji), Kiyomizu-Dera, Daigo-Ji, Ninna-Ji, Saiho-Ji (Kokedera), Tenryu-Ji, Rokuon-Ji (Kinkaku-Ji), Jisho-Ji (Ginkaku-Ji), Ryoan-Ji, Hongan-Ji, Kozan-Ji and the Nijo Castle and so much more! The city of Hiroshima is a vibrant cosmopolitan city featuring museums, monuments, and memorials with the hope of everlasting peace after the city was struck by the atomic bomb and wiped out in 1945. This historic and resilient city was rebuilt and is regarded as the `peace capital` of the world. The city features some very interesting sites including two World Heritage sites and the serene sacred Island of Miyajima where the Itsukushima Shrine stands just off the coast and seemingly floats on the water. This is an exciting city with plenty to offer its visitors including delicious culinary delights, stunning Japanese gardens, galleries and museums and important cultural events including the Hiroshima Flower Festival and The Sake Festival. A-Bomb Dome, Peace Park, The Children`s Peace Monument, The Peace Bell, Hiroshima Peace Memorial Museum, Hiroshima Museum Of Art, Itsukushima Shrine, Hiroshima Castle, Shukkei-en Garden and so much more! Nagasaki is the capital and largest city of the Nagasaki Prefecture, which lies at the head of a long bay forming a natural harbor in the island of Kyushu. The city resides within two main valleys split by the mountains, offering superb scenery over the city with a `10 Million Dollar Night View` and one of the three best night views in Japan. A cosmopolitan city offering its very own Chinatown with delectable food and amazing shopping opportunities along with memorials and museums in remembrance of the thousands who lost their lives during the Atomic Bomb over Nagaski in 1945. Visit ornate temples, an abandoned island, Mount Inasa and the oldest bridge in Japan. Peace Park, Peace Monument, Peace Fountain, Memorial Hall for the Atomic Bomb Victims, Mount Inasa, Dejima, Chinatown, The Dutch Slopes, Nagasaki Museum of History and Culture and so much more! Okinawa is a chain of islands situated in Japan`s southernmost prefecture, an idyllic tropical getaway with soft white sandy beaches and sparkling turquoise waters which make it the perfect diving and snorkeling destination. The island`s interior is filled with lush green vegetation with waterfalls and castle ruins and the shores are lined with coral reefs, shrines, and museums. The city has a deep history and a traditional culture which can be seen and enjoyed in Naha city which is the gateway into Okinawa. Shuri Castle, Naminoue Shrine, Cape Manzamo, Nakijin Castle, Emerald Beach, Okinawa Churaumi Aquarium, Zakimi Castle, Sefa-utaki and so much more! Osaka is Japan`s third largest city known as the `food capital of the world`, one of the best places to eat in the Country. A large port city that sits at the mouth of the Yodo River and flows into beautiful Osaka Bay. 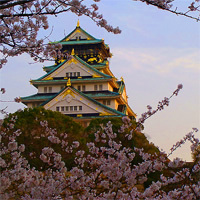 It is celebrated for the modern architecture and the prime attraction, 16th-century Osaka Castle, set in a spectacular park filled with cherry and plum-blossoms in the springtime. A unique modern city packed full of history and culture that can be discovered at the many museums, galleries, temples, and shrines all of which provide many ways to uncover the city`s true character. Osaka`s nightlife is vibrant with its bustling streets that are popular for night shopping and food brightly decorated with lights and flashing neon signs. Fly to Tokyo one of the most vibrant cities in the world with a special charm and learn more about this technologically advanced city , where the mostluxurious dining experience take place as it proudly offers diversified cuisine from all over the world. Then visit Osaka with colorful bars , enjoy Kaiyukan Aquarium one of the largest aquariums in the world. Go sightseeing in Nakanoshima . A little taste of Asia!...Begin your Japanese adventure in Tokyo, Japan's capital and one of the most populous cities in the world. Where tradition collides with pop culture, from neon-lit skyscrapers and anime shops to cherry trees and temples. Then take the train to Osaka, known as 'The City of Food'. Here you can indulge yourself, enjoying the flavors, history, pop culture and outdoor activities this place has to offer. Up next, ride the train to Hiroshima and see how beautifully this city has risen from the ashes. 7 Days Japan Rail Pass is included by default. Please ensure you select the correct duration of your Japan Rail Pass according to length of travel (For more details please go to the product description during the booking process). Train from Tokyo to Osaka: Go to Tokyo train station, validate your Japan Rail Pass, and take the train that will take you to Osaka train station. Route operated by Shinkansen. Journey takes approx. 160 Min. Train from Osaka to Hiroshima: Go to Osaka train station, validate your Japan Rail Pass, and take the train that will take you to Hiroshima train station. Route operated by Shinkansen. Journey takes approx. 90 Min. Most visited cities of Japan! 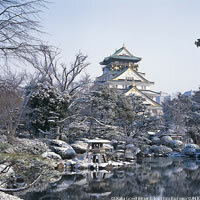 Start your trip in Osaka, well known for its great traditional cuisine, temples and castles. Then, take the bullet train to Kyoto also knowns as the 'City of the Ten Thousand Shrines'. This historic city holds about a quarter of Japan's National Treasures and popular festivals. Lastly take the train to the cosmopolitan Tokyo! World's most populous metropolis and recently awarded as the city with best helpfulness of locals, incredible nightlife and shopping. Train from Osaka to Kyoto: Go to Osaka train station, validate your Japan Rail Pass, and take the train that will take you to Kyoto train station. Route operated by Shinkansen. Journey takes approx. 30 Min. Train from Kyoto to Tokyo: Go to Kyoto train station, validate your Japan Rail Pass, and take the train that will take you to Tokyo train station. Route operated by Shinkansen. Journey takes approx. 140 Min. Japan land of contrast and diversity!! Fly to Tokyo and enjoy its museums, historic temples and gardens , this amazing city offers a seemingly unlimited choice of shopping, entertainment, culture and dining to its visitors. Up next visit Nagoya , which offers a welcoming social experience keeping its traditions , culture and rich flavours . Finally go to Osaka and learn about this small but interesting town . Osaka manages to blend cosmopolitan hipness with country charm. Train from Tokyo to Nagoya: Go to Tokyo train station, validate your Japan Rail Pass, and take the train that will take you to Nagoya train station. Route operated by Shinkansen. Journey takes approx. 100 Min. Train from Nagoya to Osaka: Go to Nagoya train station, validate your Japan Rail Pass, and take the train that will take you to Osaka train station. Route operated by Shinkansen. Journey takes approx. 60 Min. Japan history and Future!! Fly to Tokyo the center of Japan. this beautiful city actually has an unbelievable amount of restaurants, beautiful gardens and its full of fascinating museums and galleries. Up Next go to Osaka which blend cosmopolitan hipness with country charm and give you the opportunity to savor the taste of its cusine. Then transport to the forever remembered city of Hiroshima, full of history . 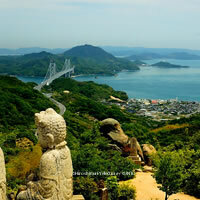 Finally visit Japan's most intriguing city Nagasaki a place of endless discovery. Train from Hiroshima to Nagasaki: Go to Hiroshima train station, validate your Japan Rail Pass, and take the train that will take you to Nagasaki train station. Route operated by Shinkansen. Journey takes approx. 190 Min. Marvelous mix of modern living and old-fashioned manners!!! Visit Osaka and find out why its known as a gourmand's paradise. Up Next enjoy everything Tokyo has to offer you from samurai and geishas to amazing temples and stunning gardens . Tokyo offers surprising ways for you to dine ,traditional pubs, classy bars, nightclubs and discos .Finally visit Sendai also known as The City of Trees a modern town which is in harmony with nature. Learn about feudal lords visiting The Zuihoden Mausoleum and try gyutan (Traditional food) in its original home. Train from Osaka to Tokyo: Go to Osaka train station, validate your Japan Rail Pass, and take the train that will take you to Tokyo train station. Route operated by Shinkansen. Journey takes approx. 160 Min. Train from Tokyo to Sendai: Go to Tokyo train station, validate your Japan Rail Pass, and take the train that will take you to Sendai train station. Route operated by Shinkansen. Journey takes approx. 95 Min. Fly into Tokyo the city with most sophisticated railways in the world. This beautiful city actually has an unbelievable amount of heavenly gardens and shrines for anyone seeking a peaceful vacation. Then visit Kanazawa with historical attractions such as restored residences and districts, as well as modern museums. Up next go to Kyoto and visit Kion Distric where the mysterious world of the geisha took place. The local food culture in Kyoto is diverse. Finally go to Osaka Overlook the City at the floating garden observatory , continue with the Osaka aquarium one of the largest in the world. Train from Tokyo to Kanazawa: Go to Tokyo train station, validate your Japan Rail Pass, and take the train that will take you to Kanazawa train station. Route operated by Shinkansen. Journey takes approx. 155 Min. Train from Kanazawa to Kyoto: Go to Kanazawa train station, validate your Japan Rail Pass, and take the train that will take you to Kyoto train station. Route operated by Shinkansen. Journey takes approx. 125 Min. Train from Kyoto to Osaka: Go to Kyoto train station, validate your Japan Rail Pass, and take the train that will take you to Osaka train station. Route operated by Shinkansen. Journey takes approx. 30 Min. Ocean and History!!! Fly to Osaka enjoy the beauty of the sea in southern Osaka , experience fishing , spend time atMisaki Park and see the castle and the museum of the famous Danjiri Festival. Continue with the mountainous Hida region and visit Takayama and try Sake one of Takayama's local specialties. Your trip wont be complete without visiting Tokyo with amazing temples and stunning gardens different from anything else you’ve seen . Train from Osaka to Takayama: Go to Osaka train station, validate your Japan Rail Pass, and take the train that will take you to Takayama train station. Route operated by Shinkansen. Journey takes approx. 205 Min. Train from Takayama to Tokyo: Go to Takayama train station, validate your Japan Rail Pass, and take the train that will take you to Tokyo train station. Route operated by Shinkansen. Journey takes approx. 245 Min. Japanese Heritage!...Start your trip in Tokyo, the world's most populous metropolis and recently awarded as the city with best 'Nightlife', and 'Shopping'. Then take the train to Kyoto, known as the City of the Ten Thousand Shrines for a reason! since it holds about a quarter of Japan's National Treasures and popular festivals. Move along to Osaka, known as 'The City of Food'. Here you can indulge yourself, enjoying the flavors, history, pop culture and outdoor activities this place has to offer. Then comes Nagasaki followed by Hiroshima, both historic places that emerged from the ashes to become beautiful modern cities. Up next is one of the crown jewels of Japan, Miyajima! an island that has been considered a holy place for most of Japanese history. Last but not least take a ferry back to Hiroshima and then ride the train to Osaka where you will spend the rest of your dream-like Japanese experience. Train from Tokyo to Kyoto: Go to Tokyo train station, validate your Japan Rail Pass, and take the train that will take you to Kyoto train station. Route operated by Shinkansen. Journey takes approx. 140 Min. Train from Kyoto to Osaka Go to Kyoto train station, validate your Japan Rail Pass, and take the train that will take you to Osaka train station. Route operated by Shinkansen. Journey takes approx. 30 Min. Train from Osaka to Nagasaki: Go to Osaka train station, validate your Japan Rail Pass, and take the train that will take you to Nagasaki train station. Route operated by Shinkansen. Journey takes approx. 370 Min. Train from Nagasaki to Hiroshima: Go to Nagasaki train station, validate your Japan Rail Pass, and take the train that will take you to Hiroshima train station. Route operated by Shinkansen. Journey takes approx. 215 Min. Hiroshima to Miyajimaguchi Station and from Miyajimaguchi Station to Miyajima via Ferry: Miyajimaguchi Station is a short walk to the ferry pier, from where ferries depart frequently to Miyajima. Ferry rides take 10 minutes and the Japan Rail Pass is valid on JR ferries. Miyajima to Miyajimaguchi Station via Ferry and from Miyajimaguchi to Osaka: Go to Miyajimaguchi train station, validate your Japan Rail Pass, and take the train that will take you to Osaka train station. Route operated by Shinkansen. Journey takes approx. 180 Min. Cities of Tradition!! !...Fly into Tokyo, Japan's most lively capital, which mixes the ultramodern with the traditional, featuring neon-lit skyscrapers and anime shops to cherry trees and temples.This city is famed for its vibrant food scene, and its trendy and fashion districts of Shibuya and Harajuku. Next, get on the famous bullet train and go to Takayama, a picturesque town that houses three of the most beautiful festivals in Japan. Up next is Kanazawa, a magical place that features the Tera-Machi, where 70 temples are gathered together, and also the Kenroku-en Garden.Then take the train to Kyoto, known as the City of the Ten Thousand Shrines for a reason, since it holds about a quarter of Japan's National Treasures and popular festivals. Up next roll-on to Osaka, famous for its delicious traditional food along with its Castle and renowned Osaka Aquarium Kaiyukan. Train from Tokyo to Takayama: Go to Tokyo train station, validate your Japan Rail Pass, and take the train that will take you to Takayama train station. Route operated by Shinkansen. Journey takes approx. 240 Min. Train from Takayama to Kanazawa: Go to Takayama train station, validate your Japan Rail Pass, and take the train that will take you to Kanazawa train station. Journey takes approx. 130 Min.